Our 1st Tubman Players theatre performance for the year is holding auditions next week on Sept. 4th from 3:30pm-5pm for grades 3rd-8th. 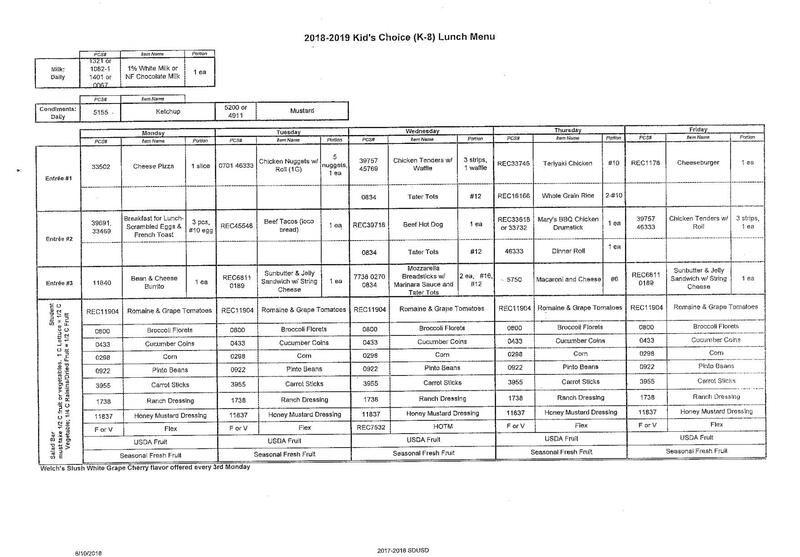 Later in the year we will be offering a program for TK-2nd. All auditioners are required to fill out an audition packet (located in counseling office). We will be casting 2 shows with 2 different rehearsal times. 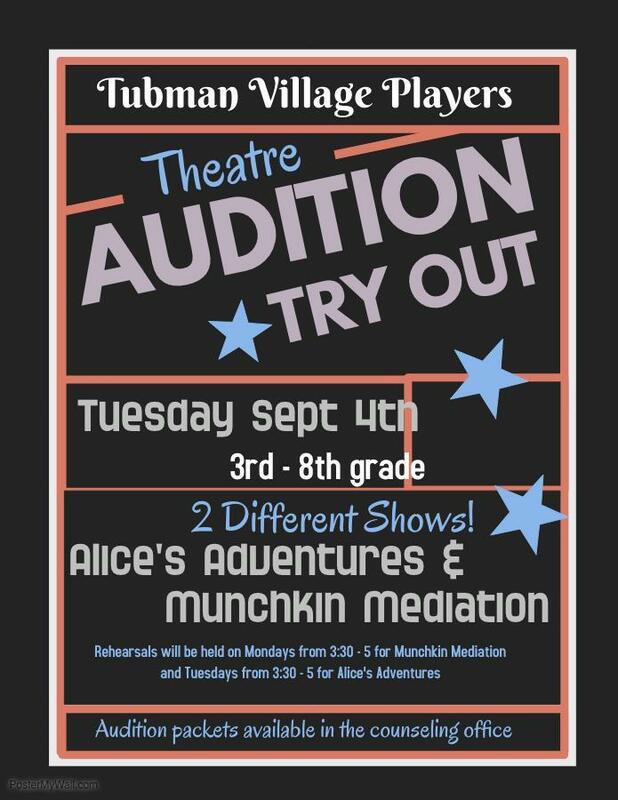 Students cast in Munchkin Mediation will have rehearsal every Monday from 3:30-5pm and students cast in Alice's Adventures will rehearse every Tuesday from 3:30-5pm. Guardians of students who are cast are required to attend a mandatory information meeting after your child's first rehearsal- Munchkin Mediations-5pm on Mon. Sept. 10th after rehearsal and Alice's Adventures-5pm Tues. Sept. 11th after rehearsal.